Web.com offers web hosting, site building, and domain name registration solutions. It provides users with personalized services and access to various site management tools to optimize the performance of their web and eCommerce sites. In this article, we cover Web.com reviews and pricing. Ready to get started? Visit its website. As of the date this article was written (April 1, 2019), there are very few up-to-date positive reviews about Web.com online. Some users said that the company provided them with hands-on service in building their website. They also said that the customer support team is helpful. Users who gave Web.com a negative review complained about malfunctioning webmail accounts. While some commended the support team, a lot of users also cited unreliable technical support, saying that the agents were not able to answer their questions or help resolve their issues. One user who gave Web.com a negative review on WhoIsHostingThis said that there was a time when the company failed to update their webmail’s account settings, which resulted in them not being able to use the service for six months. She added that she spoke multiple times with the customer retention team, but they were unable to resolve her issues and only sent tickets to the technical team with no concrete next steps to address her problems. Web.com pricing is based on three subscription options: Essential ($12.95/month), Professional ($18.95/month), and Premium ($36.95/month). The main differences between the plans include the size of disk space and the number of webmail accounts. All plans include a free one-year domain name registration with a renewal amount of $38/year thereafter. Discounted rates and reduced introductory prices are offered by the company on an occasional basis. Ready to get started with Web.com? Visit its website. 6 Best Free Web Hosting Services 2019: Free web hosting services give small businesses a free place to host and build their websites. We reviewed dozens of services to find the six best based on the available bandwidth, storage, uptimes, if they display ads on your site, the ability to connect your own domain, and if their free plan includes email. What programming languages does Web.com support? Web.com supports the following programming languages: Ruby, Python, PHP5, and Perl. What makes Web.com different from other web hosting providers? According to Web.com, they offer 99.99% uptime to their users. It also offers dedicated technical customer service via phone or email for free, which is usually a paid service for other providers. Have you read these Web.com reviews and are still not sure if it’s the right fit for you? Read our reviews of all top web hosting providers or check out one of these three Web.com alternatives. 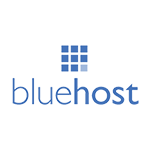 What's the Best Web Hosting Provider?